CNN’s brand studio Courageous is partnering with Square Enix® this summer to host a conference on human augmentation. The conference, the first of its kind, will be held on Monday, August 3, 2016, at the Paley Center for Media in New York City. Human by Design will explore the intersection of technology and humanity and attempt to bring together top minds to debate what it means to be human. Square Enix is aligning with Human by Design to support the release of Deus Ex: Mankind Divided®, the sequel to the critically acclaimed Deus Ex: Human Revolution®, on August 23, 2016. 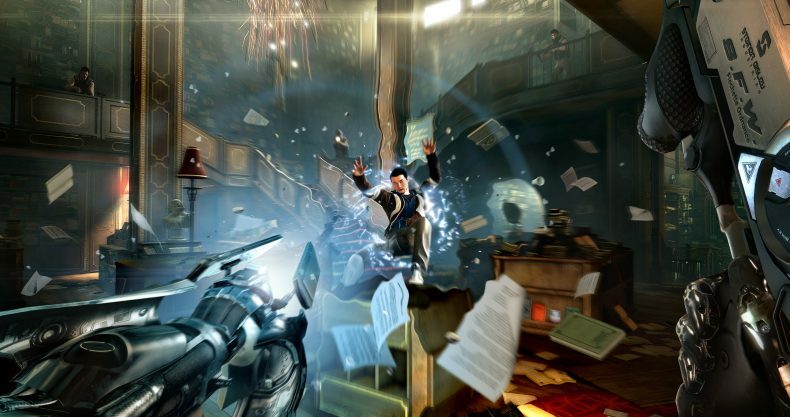 Deus Ex: Mankind Divided features a world divided by hatred and fear. Set in the year 2029, many countries are enforcing harsh laws to segregate mechanically augmented humans and “Naturals” from each other. The parallels of the Deus Ex Universe® will be explored at the conference, specifically how technology is shaping the human condition and the ethics of self-regulation. Is Augmentation a Human Right? : How can augmentation be accessible to everyone on the planet? Selective vs. Therapeutic Augmentation: Who should have the final say on augmentation procedures — doctors or individuals? The Future of the Far Far Next: What will medical advances enable 10 years from now? The conference will culminate with the presentation of The Code of Ethics on Human Augmentation. It is meant to spark conversation around the issues of human augmentation, while reflecting the specific views of the authors, in an effort to help shape the future of the industry.